The Cetus bath is constructed from Quaryl, which is a liquid mix of quartz stone and resin developed by Villeroy & Boch. The bath is cast from the Quaryl liquid poured into a mold and is between 8mm and 18mm thick resulting in a bath that is very robust, well insulated and resistant to marking. 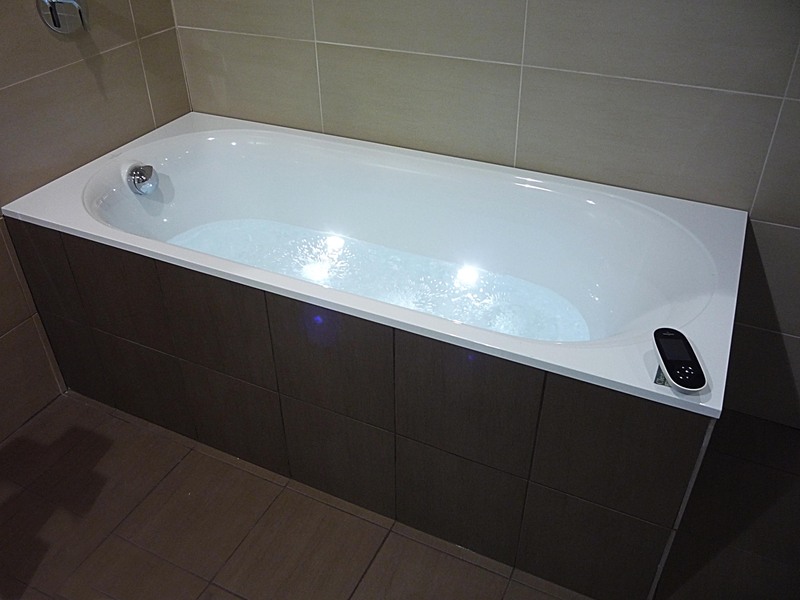 This bath is fitted with the Villeroy & Boch Whisper Airpool System. Air is forced through 8 smooth outlets in the base producing an eruption of tingling fine champagne like bubbles in the water. The intensity can be varied using the remote control unit as well as the ability to set the jets to pulse in a variety of sequences. 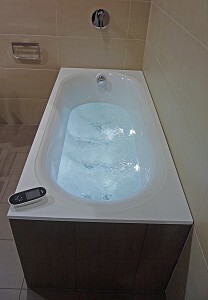 This bath is also fitted with underwater LED lights to create a luxurious and relaxing bathing environment. The bath comes complete in its own steel frame ready to stand in place and tile finish and is fitted with a fill though the overflow system. Includes one full year manufactures warranty.